Then a month later you are still using it. Today that last bit stops, today we get Instacast HD a $4.99 version of Instacast for your iPad. And it looks fantastic. If you already use Instacast on your iPhone/iPod then you know what this app is. What you may not know is that on the iPad it is about ten times better. 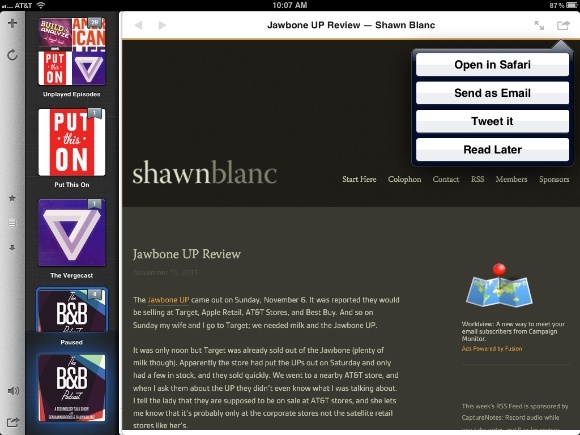 Instacast now has iCloud sync — meaning it’s seamless to run and use Instacast on two devices an important addition now that you will likely want it on both your iPad and iPhone. 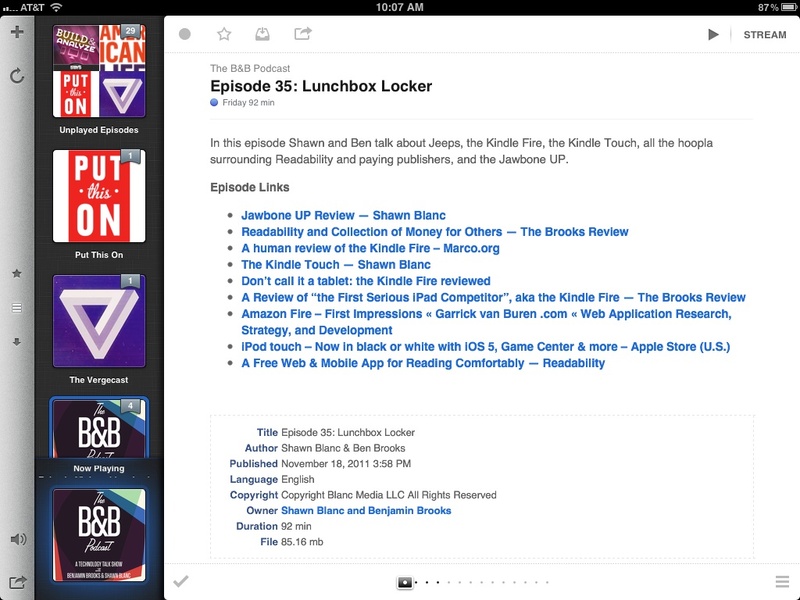 Instacast HD is more than just a pretty iPad version of Instacast — it actually feels like what Instacast should have been all along: your podcast dashboard. I love the iPhone, but when the iPad came out and I got a hold of it my consensus was: “oh, this is what iOS was really made for.” The iPad didn’t feel like a scaled up iPhone as much as the iPhone felt like a scaled down iPad. 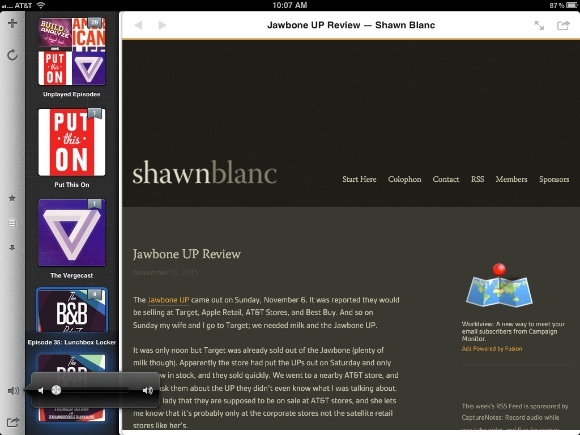 The same is true with Instacast HD. I never look at show notes for podcasts, it’s a step I never take. 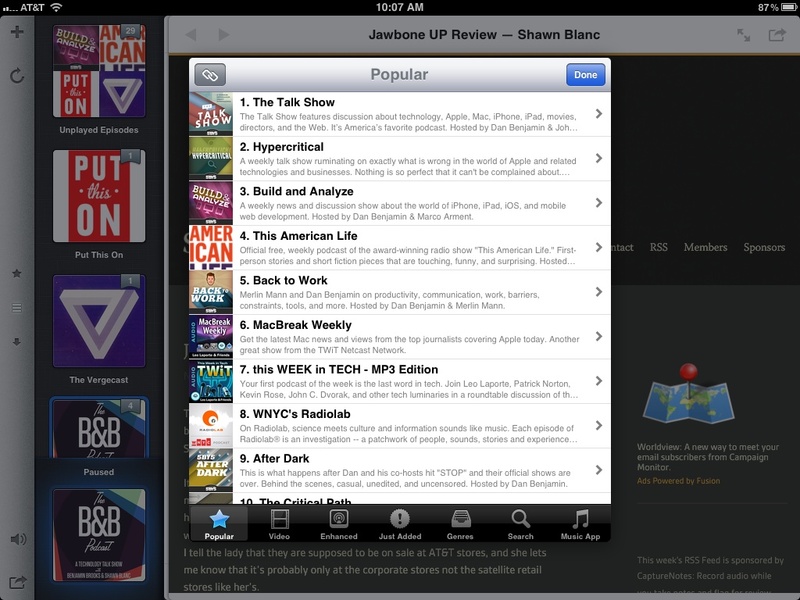 But with the way that Instacast HD presents them, it seems silly not to look at them. Making the podcasts I listen to that much more rich. There’s one other thing about Instacast HD that makes is so very good: the developer clearly uses the app. I was a bit annoyed with the order of the podcasts on the scrolling list of icons, and I thought: “can I change this?” The most natural way would be to tap and hold, then drag them around. Sure enough, that works. These are the details that people implement when they make an app that they themselves use — these are the details that make apps go from good to great. I don’t have much else to say, so instead let’s look at the beauty. 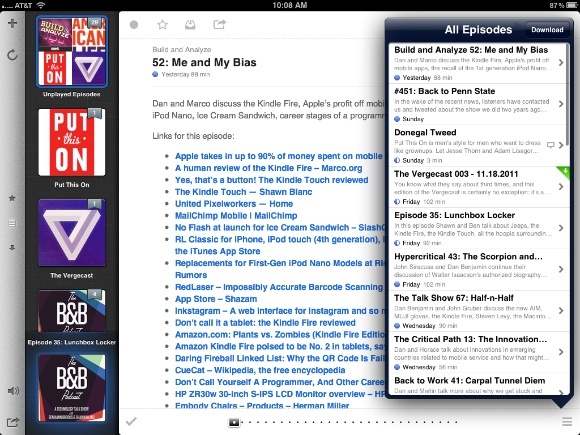 This is a must have for any podcast listener with an iPad. 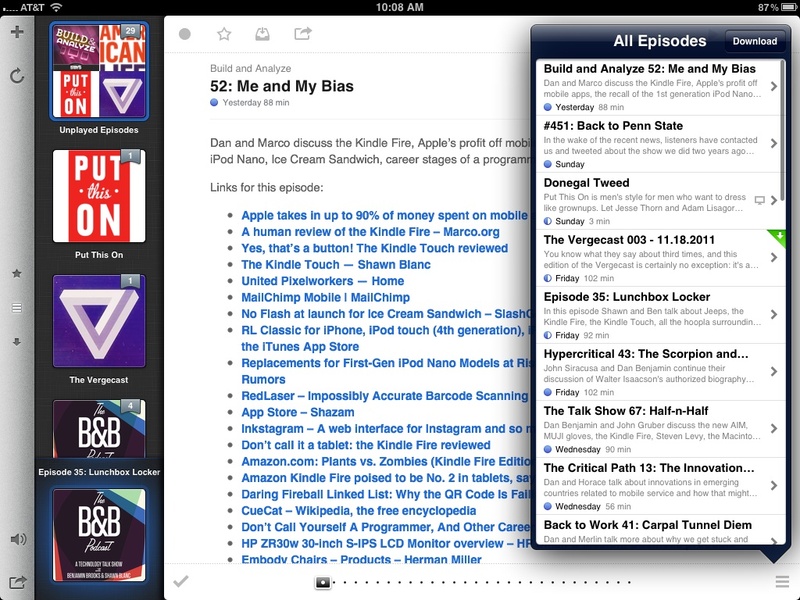 It may even be the reason you need to buy an iPad if you love podcasts and still don’t have an iPad.